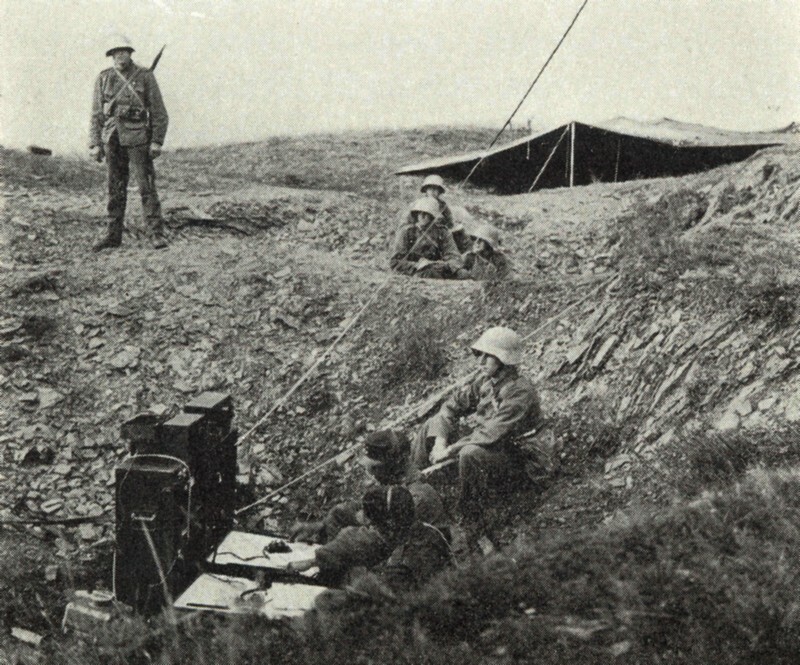 The Tragbar Schwere Funkstation 18 ("Heavy Portable Wireless Station 18") has been acquired after the end of World War I, it was an improved version of the German Telefunken station US 17/D. In the years 1923/24 it has been improved and when the Wireless Detachment of the Swiss Army has been founded, a few more wireless sets had to be acquired, these got the designation "Tragbar Schwere Funkstation 25". In the early years, this stations had also to be used in the role of ground station of military aviation. The T.S.25 remained in service from 1925 until 1947. This longwave station has been developed by Telefunken, Deutsche Gesellschaft für drahtlose Telegraphie, Berlin. The first sets have been acquired in 1918/9 and the got the designation "Tragbar Schwere Funkenstation 18", it consisted of the valve transmitter AR 125 and a TRF receiver of an unknown type. After 1922, this early receiver has been replaced by the E 266, a TRF receiver with adjustable reaction. After it's renewal, the station was renamed Tragbar Schwere Funkstation 25 / T.S.25: the transmitter was replaced by the higher power AR 245 and the receiver by the Spez 7Bs TRF receiver with two tuned circuits and a voice amplifier Spez 60 Bs, all made by Telefunken. 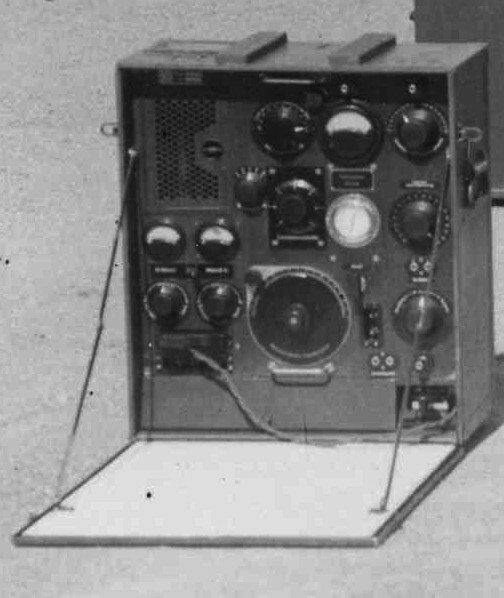 The transmitter AR 125 of the T.S.18 is an improved Meissner - Transmitter US 17/D, it's two triodes RS5 gave it an antenna output power of 15 Watts; after 1926 it was replaced by the transmitter AS 245, with it's two more powerful triodes RS55, it had an antenna output power of 20 W, reportedly this was sufficient for distances up to 50 - 75 km. The type of the earliest receiver is still unknown, after 1922, the TRF receiver with adjustable reaction Telefunken E 266 was used, this was replaced by the Telefunken Spez 7 Bs with two tuned circuits in 1926 (two triodes RE062t) and a voice amplifier Spez 60 Bs. 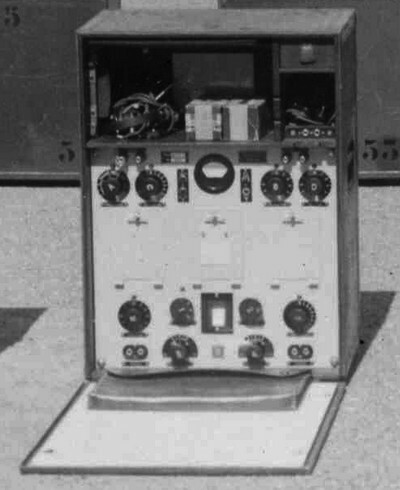 After 1932, the station was equipped with the Telefunken longwave receiver Spez 470 Bs / E31, a very powerful receiver. As antennas, a double wire 50 m L- or T atenna between two 9 m masts was used. The complete equipment came in 18 crates, with it's 336 kg, the station was portable in theory, it could be carried by men or an the back of mules or horses in the mountains. The Tragbar Schwere Funkstation 25 has been in use by the Signal Troops and in the Swiss Air Force, from 1919 - 1929 a total of 56 sets have been acquired. In 1947, the equipment was declared as war reserve and has been lquidated in 1956.